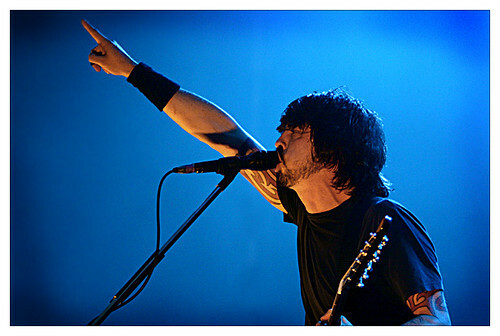 Krist Novoselic and Butch Vig are both joining Dave Grohl for the next Foo Fighters album. The 90s are so hot right now. Kid Koala is releasing a new book and music project — both called Space Cadet — next year. So, apparently Limewire was still operating? Not anymore, though. Japandroids covered PJ Harvey’s “Shame” for their upcoming 7″ single, but they’re not sure how it turned out. The White Stripes will cover “Rated X” — previously released by the band a “Hotel Yorba” b-side — as part of a Loretta Lynn tribute album. We Are Wolves and Trigger Effect are among the bands performing at CAMIQ 2010. The Arcade Fire are returning to the set of Saturday Night Live to perform on November 13. Winnipeg’s The Details will release a new EP, The Original Mark, on November 16. Today in things that are totally unnecessary, Michael Jackson’s “Thriller” will be turned into a feature-length film.